Edwardsville Illinois – If you have chosen to go for a short sale to avoid a foreclosure, it might not be as bad as you think. Negotiating with the lender to agree to a short sale might be the solution you are looking for. 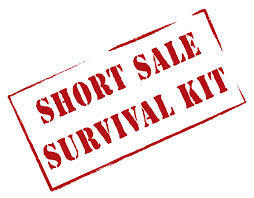 Short selling means to sell a house to a buyer at a price lower than the market value of the house. The important thing to keep in mind is that the lender should first agree to accept the proceeds from the short sale as full mortgage payment even if the sale price is low. Fannie Mae has a two year loan program that allows you to purchase a new home as soon as you short sell your existing one. FHA also has a loan program that allows you to qualify for a new home loan within three years. Most home owners sell their home due to financial conditions. Short selling their home might erase their loan debt in most situations. For instance, if your lender is Fannie Mae, FHA, Freddie Mac or VA, they have a policy that if short selling occurred because of difficult financial conditions, all your loan debt will be wiped away. Most people believe that short sale will harm their credit rating. Well, the bad news is that it will damage your credit rating, and the good news is that foreclosure will have had a bad toll on your credit rating compared to short sale. A short sale may reduce your credit between 60 to 100 points. if the lender foreclosed the house, he will still have to pay the costs from his own pockets. So, a short sale might be a good option for you and your lender. When you put up your home for short sale, you are not required to pay the scheduled mortgage. This is a financial benefit as a short sale can take up to six or eight months. You can save the mortgage payments to pay rent on your new home. judgement’ in court. Therefore, it is important to sign a document between you and the lender to waive any remaining balance. Then only could a short sale benefit you as a seller.